Tesla's most economical car till date has reportedly cleared regulatory requirements ahead of schedule, and the first 30 customers will receive delivery this month. Tesla will begin the very first deliveries of the Model 3 sedan on July 28, 2017. The company had initially spoken about beginning production of its vehicles in 2017, and initiate deliveries by 2018. Recently, CEO Elon Musk stated that Tesla has cleared regulatory requirements ahead of schedule, and the very first deliveries will begin this month itself. Tesla will be delivering the Model 3 to its first 30 customers at a handover gathering this month, and the rest of the deliveries will follow in phases. The company has confirmed to have received around 500,000 preorders for the Model 3 sedan, and in terms of production, expects to hit 20,000 units by December 2017. Tesla also aims to have delivered 50,000 units of its already existing Model S and Model X cars by this year. It is ramping up production heavily in continual development of its Gigafactory battery facility, and aims to deliver a total of 500,000 vehicles next year. The number is expected to escalate to 1,000,000 units by 2020, of which the Model 3 is expected to have significant contributions. Other cars that should contribute to Tesla's sales numbers could be the upcoming Model Y, which has already been shown off as a concept. The Tesla Model 3 is a more practical offering from the futuristic automobile company, priced at $35,000 (approx. Rs. 24,00,000) and having the capability to seat five adults comfortably. It houses a 15-inch landscape-oriented touchscreen at the centre of the dash, which will be the users' window to every feature in the car. It will also get enhanced safety equipment, advanced autopilot and improved battery range of up to 346 kilometres. 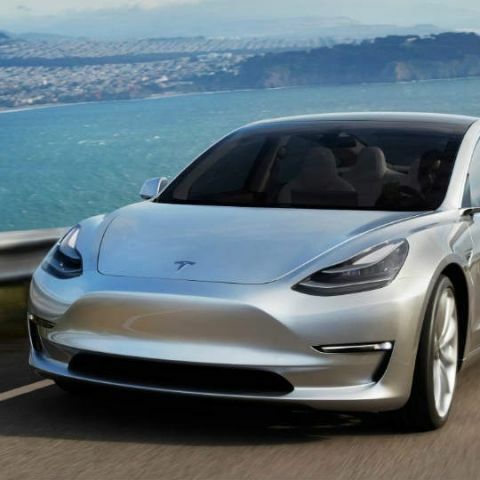 The Tesla Model 3 is a crucial proposition for the future of automobiles, as it brings with itself premium in-car technology to a more affordable price segment. Tesla has also spoken about its possibility of entering Indian shores, and setting up a Gigafactory plant. These, coupled with the Government of India's increasing focus on all-electric vehicles, may help expedite the company's India plans and also aid in establishing a battery charging network across Indian roads. The company is also reportedly looking at developing its own music streaming service to give its buyers a more premium, customised experience.